We’ve been associated with Ross and Emma Pushman since they started this business about a decade ago. We do the site, but also have done print and design work for them. The latest incarnation of their site is not responsive, but still works well on small screens (a responsive site is in development). The challenge here was to find a way to display detailed information about the range of trailers, but not overwhelm the viewer with text. So there are loads of pop-ups, useful info that appears on screen at the appropriate moment. 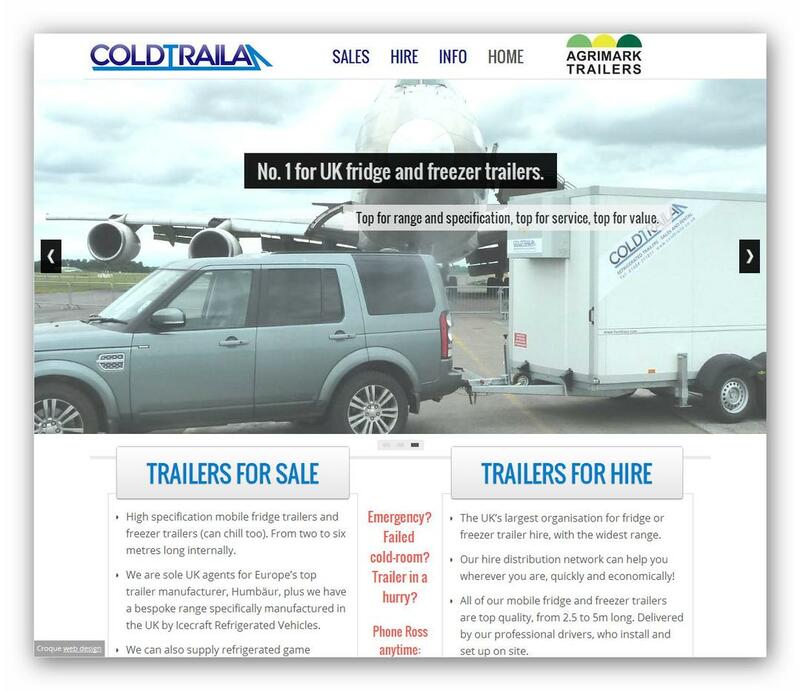 This is the biggest UK retailer and rental agent of fridge and freezer trailers, and it’s primarily promoted via the web. The site is the main marketing tool. The sales page has a neat way of choosing a size or type of trailer. And if you need forms look on a trailer page for the enquiry link which pops up a form. Click different types of trailers and you see options specific to that model. People do not like filling in forms, so one must keep them as straightforward and simple as possible. Only ask for the information you actually need.